So you got engaged during the holiday season and are looking forward to your upcoming wedding in 2012? It's time to let your friends and family know! To help you with this task, we're offering a one-week-only special on all Save the Date announcements. From December 27th through January 3rd, we'll be discounting all Save the Dates by $20.12 AND offering $20.12 in a gift card for you to use in the new year towards another purchase (like wedding invitations)! 30% off EVERYTHING at Vienna or Reston for 3 hours only! In an effort to help you finish your last-minute holiday shopping, we'll be hosting a few pajama parties during the week of the 19th! 30% OFF all in-store shopping if you wear your pajamas to our party! * Calvert Rejuvenations will be providing FREE mini chair massages. The Dandelion Patch hosted the designers of Spark Letterpress for invitation workshops. Read about it here on United With Love's blog. The Gift Guru Recommends Elf on the Shelf on "I Am Modern"
“He sees you when you’re sleeping, he knows when you’re awake, he knows if you’ve been bad or good so be good for goodness sake.” If you didn’t know what this line was referring to it could sound like a creepy stalker’s got your number. Have you ever wondered, though, how Santa knows these things? 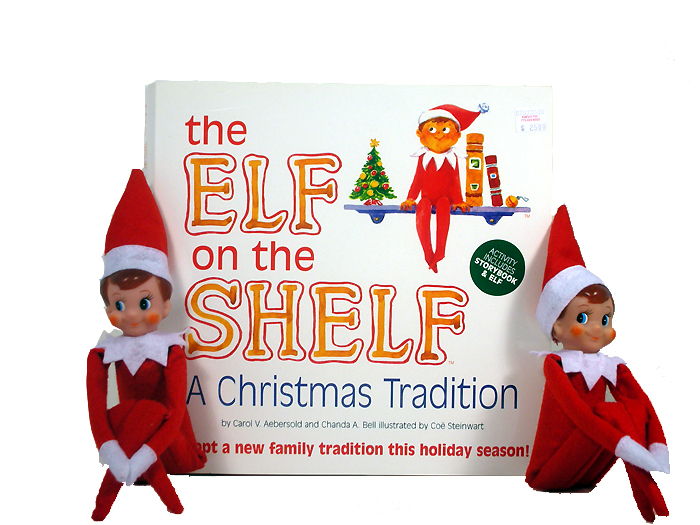 Let me introduce you to Elf on the Shelf. Maybe you’ve heard of him, maybe you have him already, maybe you have no idea what I’m talking about, but Elf on the Shelf should become your next holiday tradition. While in-stock quantities last. Limit one offer per customer, or household. Vera Bradley Designs, Inc. is not a sponsor, nor otherwise afﬁliated with, this promotion in any respect. ©2011 Vera Bradley Designs, Inc. Discounts may not be combined with other coupons, promotions or Groupon. In our world of technology, emails and smartphones are nearly everywhere and even in the hands of our youngest members of society. These young writers' workshops reinforce and allow children to practice the power of the written word. Children will pick out personalized stationery on which they will be instructed by a Fairfax County teacher in writing a proper thank you note. The pride that is felt from hand writing a special note for someone will be instilled in the children and will make them feel as good as they do when giving or receiving a gift! Just in time for the holidays, we'll be having a special promotion! Discover the beauty of these artisan-made, one-of-a-kind, today's answer to a charm bracelet, Trollbeads! Buy 3 Trollbeads and receive a $25 Dandelion Patch gift card! All you have to decide is: Which bead will begin your collection? May not be combined with other offers, promotions, discounts or Groupon. 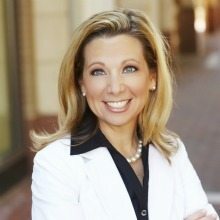 FORTUNE -- When Kristina Bouweiri started hosting customer appreciation lunches in 2009, she thought she was just helping a friend boost her lagging business. Personal presence is the business "it" factor. People with presence stand out for their seemingly innate ability to command respect and inspire commitment. But what is this secret quality they exude, exactly, and how does someone get more of it? game-changing tool within your reach! Save $11.11 Off Your Purchase of $100 This Weekend Only! Our Advice on How to Help Friends in Need on "Ask Miss A"
So many of us hate asking for help, but there are just some times in life when we can’t do it all. Sometimes they are bitter times and other times sweet, but we all experience trying circumstances at one point or another and can become overwhelmed to the point where we let basic everyday chores fall by the wayside (cooking, cleaning, mowing the lawn). Take having a baby, for instance. When we are inundated with new responsibilities like caring for an infant around the clock, we forget to take care of ourselves. Or, perhaps we’ve lost a loved one, been ill or had surgery. During those times, we remember and appreciate those who stepped in to lend a helping hand. Should you have a friend or neighbor who may be in need of a little extra help, be warned that she may not ask for it. However, I recommend stepping up and pitching in one of these several ways.